Toast has been making covers using wood or leather for different types of products like phones, laptops, video game consoles and tablets. We had the chance to test out the customization option that allows us to insert a pop culture reference on the cover. 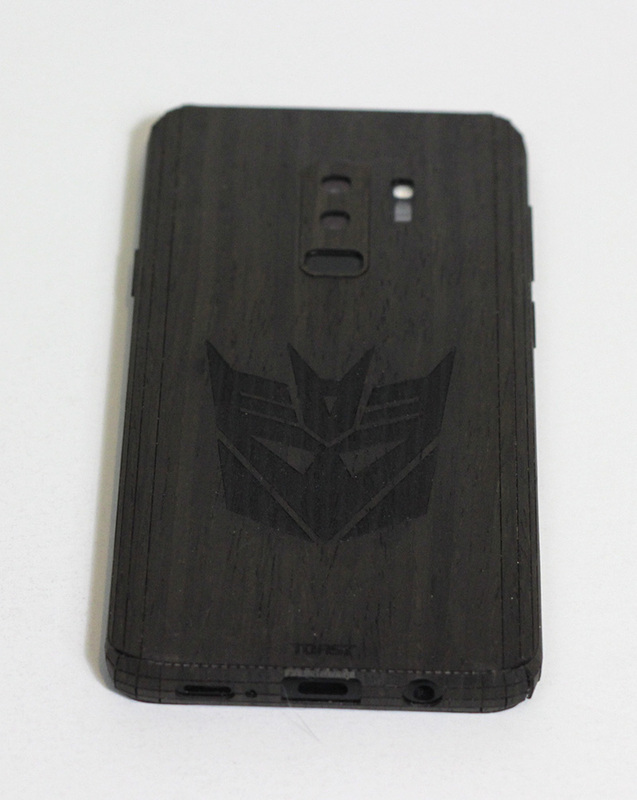 Since we’re big Transformers fans here, we opted for the Decepticon logo etched onto a wood cover made for the Samsung Galaxy S9+. 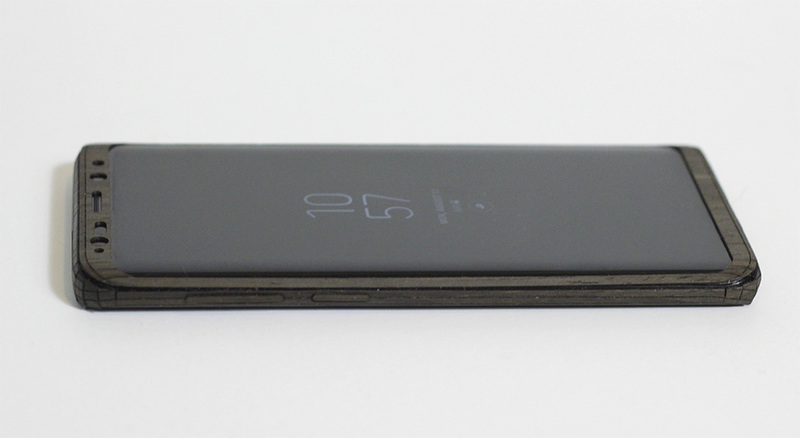 One huge concern we had about wrapping the phone with a wood cover was the thickness. Would this make the phone too bulky? We can happily say that the phone is still slim and portable thanks to the thin layer of wood. 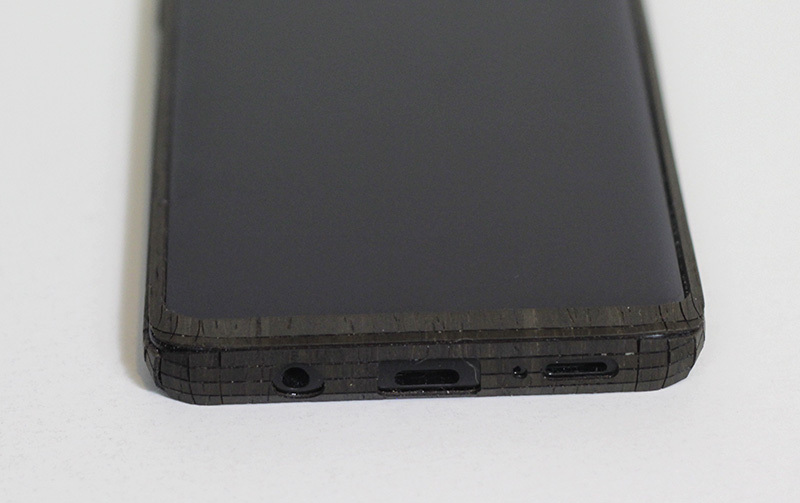 Since wood isn’t easy to mold, the cover is cut in a way where it will wrap around the phone nicely. The 3M adhesive opposite the exterior cover helps to keep it intact. One thing we really liked about the cover is that it covers the back of the Galaxy S9+. Without a cover or case, the back is prone to fingerprints due to the oils from the fingers, and it can get tiring wiping it over and over again. The Toast cover comes with cleaning materials where you can clean and wipe the phone before placing the cover over it. Instructions are pretty simple, but make sure that you align everything as instructed. 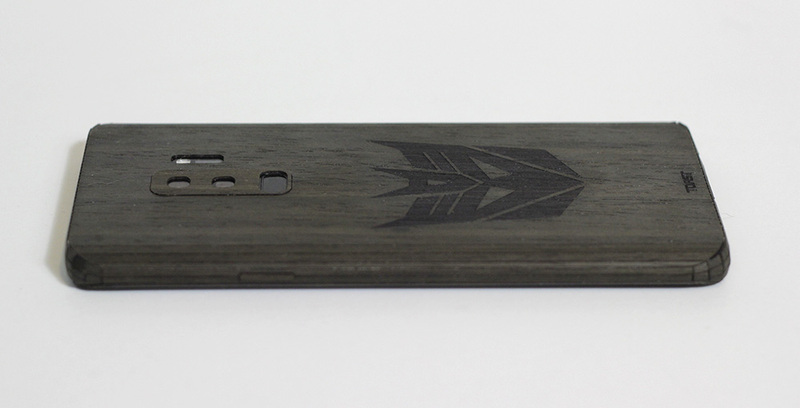 And if done correctly, the phone will look like it came stock with a wood finish. Since the Toast cover is just a cover, it’s not a replacement for a sturdy case. With that said, there was a time when the phone fell out of my pocket while dancing at an event. (It was at a swing dancing event, so that meant I was moving and spinning a lot.) I panicked a little and was hoping that it didn’t crack. To my surprise, the screen was still intact. 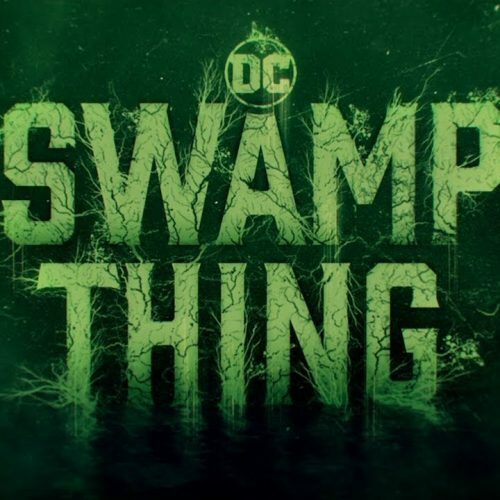 I do believe that the cover can help somewhat. However, your mileage may vary, and I didn’t feel like repeating that again on purpose to test it out. Overall, we’re pretty happy with the look of the wood cover complete with the customized pop culture logo. The material, design and shape give the phone a unique and slick look that will get people to notice. You can check out customization options at https://www.toastmade.com/.